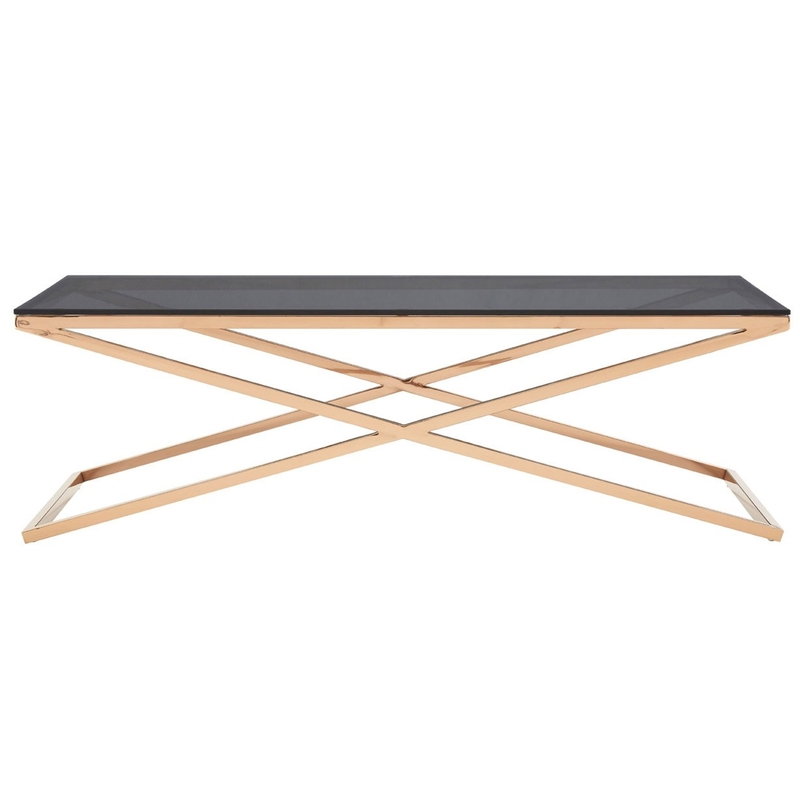 We are proud to introduce this gorgeous Criss Cross Coffee Table. It has an astonishing design which consists of a warm metallic feel. The beautiful bottom includes a criss cross design, which not only looks incredible, it makes it very sturdy.